Fridays are always a great day because of the SOUS reveals! I really loved the sketch this week created by the oh so talented Nanne and it was so fun to work with! Please head on over to the blog and check it out. As usual, the Design Team did an awesome job with this sketch. So much inspiration to be had! That is a funny story but I do like her boots! 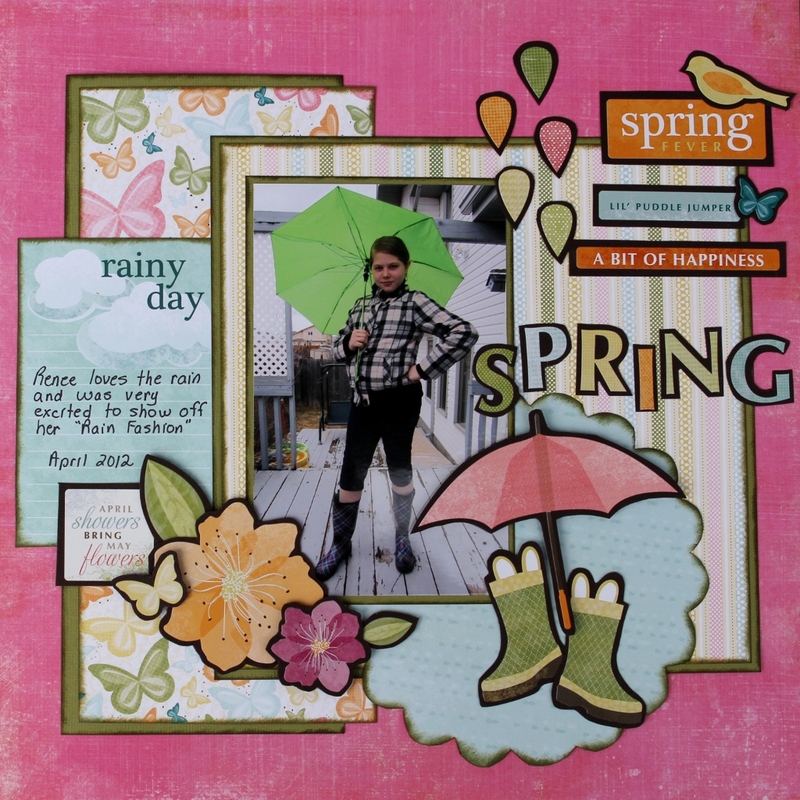 Great layout to, love all the paper layering and the umbrella and boots! Such a happy page .. love those kind! Love how you've embellished your page .. my paper was so busy I couldn't do much. The rain boots and umbrella are too cute! Great colors as always and the photo is just too fun! This is just perfect for the sketch! well happy, yes. I'm always pretty happy....relaxed? pretty funny! =) Glad to faked it well for the photo! LOL! Charlotte, your layout is so cute!! 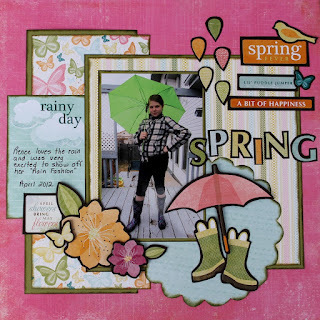 Love the way you've layered all of the layers, it makes the whole layout "pop"!! And btw, her rain fashion is definitely stylin'!!! Love those boots!! Have a great weekend!! Hugs!! What a sweet page! Love the hot pink background and all the black mat accents! Gotta love spring and summer layouts...not quite ready for winter! lol! Hope you're enjoying the summer, Char! Love the great graphic quality to this LO! Great pic! This is just great Char! Love the outlines. Loving the bright colors and how the black matting makes the photo and other elements pop right off the page! Such a fun page! just love Renee's boots ... fantastic LO Charlotte Hugz .. I know you'll get tired of me telling you how amazing your layouts are cause you love to use so much color, but they really are...LOL loving this layout a lot..